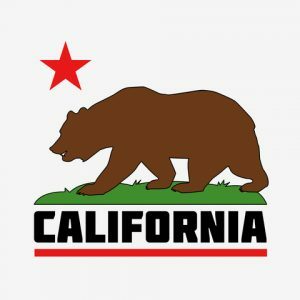 Two bills concerning cosmetic manufacturing in California have been working their way through the legislative process. California Governor Jerry Brown just signed AB 2775 on Sept 14th, and SB 1249 went to the Governor on September 12th. What does it mean for handcrafted cosmetics? California AB-2775 requires that all cosmetics that are “for professional use only” have the ingredient declaration on them, just like all other cosmetics. The current federal regulations for cosmetic labeling apply only to products that are intended for “household” use (which means they are purchased by a consumer and are used up. Professional products, since they aren’t sold to the end user for use in the home, don’t have the same requirements. Except, now, in California. According to the newly passed bill, Section 110371 is added to the CA Health and Safety Code. This new section requires that all professional use products meet the same labeling requirements as consumer-use cosmetic products. The law goes into effect on July 1, 2020. Violation of the law is a crime. There are no exemptions for small cosmetic manufacturers. If you make cosmetics for “professional use only” AND those products are sold in California AND you don’t have the ingredients declared on the label, you will need to update your labels to include complete ingredient declaration before July 1, 2020. The current federal regulations for cosmetic product labeling say that no state can establish any cosemtic labeling requirements that are different from, or in addition to, the federal laws. So, there’s a possibility that a lawsuit or other legal action will hold off implementation of the law. California SB 1259, which is likely to be signed in to law any day, prohibits any cosmetic manufacturer from selling (in California) any cosmetic that was developed or manufactured using an animal test that was conducted or contracted by the manufacturer or any supplier of the manufacturer. It will not apply to any cosmetic or ingredient that was sold in California BEFORE January 1, 2020. The law will go into effect on July 1, 2020 and is punishable by an initial fine of $5,000 and additional fine of $1,000 each day the violation continues. It can be enforced at the state, county or city level. If you develop any new cosmetic that will be sold in California, make sure that all the ingredients you choose use either haven’t been tested on animals or any animal testing was done prior to January 1, 2020. It is likely that the only ingredients that may be of issue are NEW ingredients developed after the cutoff date. Thank you Marie for keeping us up to date on changes to the laws concerning cosmetics!